On this page you can find information and pictures of an intresting mounting bike area in Belgium. 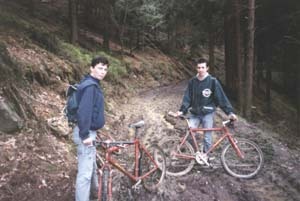 In the authem of 1999 we organised a cylcle day trip with the PhysicLab crew through the "Ardennes". In Trios Pont you can rent a good mountenbike for about 20 euro. You can find Trois Pont between two small villages Coo and Stavelot. 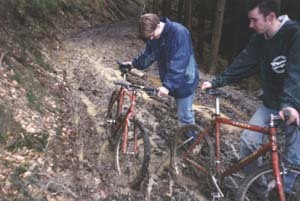 During that the day we have seen much mud. These area is very nice, there are enough farmer and forest roads. 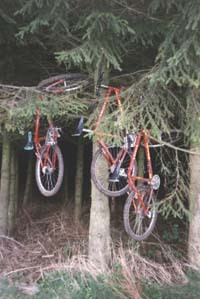 Always take care of your bike... park it carefully!